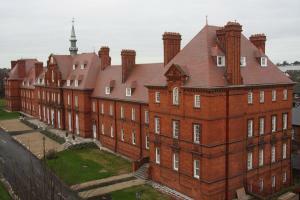 Mckee Barracks (formerly Marlborough Barracks) were constructed in 1893 on Blackhorse Avenue. It is an imposing red brick structure with tiled roofs designed by Robert Barlie and built by the Royal Engineers to accommodate cavalry units. It has fine terracotta detailing and distinctive steeply pitched roofs punctuated by dormer windows and decorative brick chimney stacks. 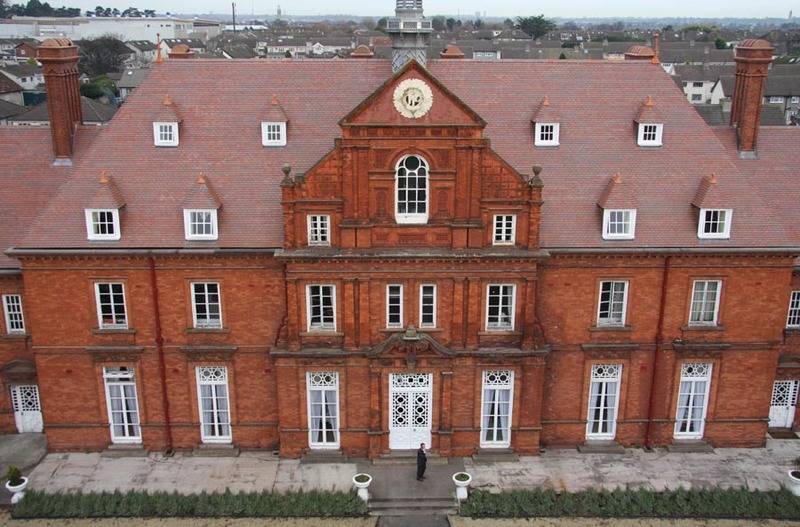 The original roof on this prestigious Irish heritage building used a naturally pigmented single camber clay tile that was typical of tiles manufactured in the late nineteenth, early twentieth century in the UK. 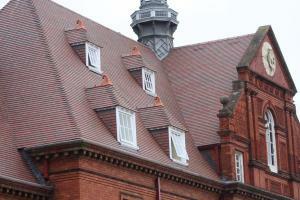 To have used artificially coloured or stained clay tiles for the re-roof would have been a disservice to the rich architectural heritage of this building, and as such, the architect chose to use naturally fired Dreadnought Country Brown clay tiles and these were supplied by our representative in Ireland, Lagan Building Solutions.